A Cabo vacation wouldn’t be complete without a wonderful day at the pool. Throughout your stay, you’ll want to enjoy the most beautiful experiences this destination has to offer, including its beaches, its atmosphere and its ideal weather. 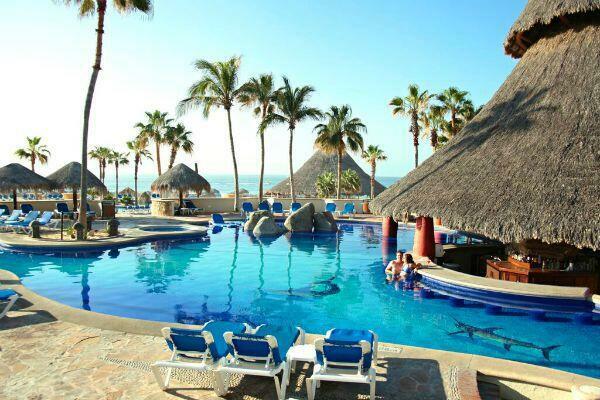 Here at Sandos Finisterra Los Cabos, we offer you a stunning setting where you can cool off, savor delicious cocktails, and have fun under the sun: our beautiful pools! 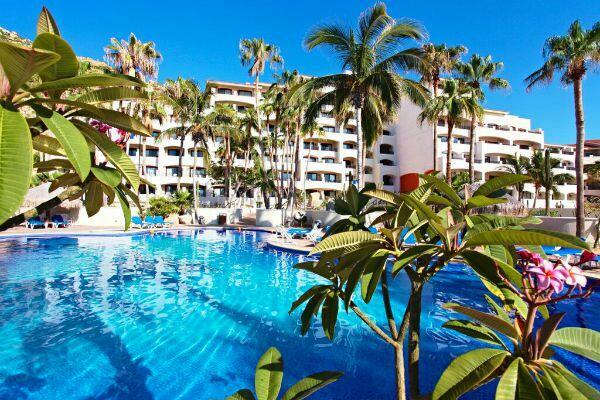 Sandos Finisterra Los Cabos features a total of four pools where you can spend an unforgettable vacation in the travel destination of Cabo San Lucas, Mexico. We have three pools in our beach area, a favorite spot where our guests love to hang out during the day. These pools are surrounded by towering palm trees and lovely desert gardens, creating a space that has the soul and spirit of Los Cabos. Here, you can enjoy incredible views of the Pacific Ocean and its captivating blue colors, as well as the seven jacuzzis set around the pool area. Of these three pools, one is an adults only pool with its very own swim-up bar where you can order your favorite drinks without leaving the water – and the drinks are part of our all inclusive plan! This pool area also offers waiter service, complete with a lunch menu and of course a variety of delicious drinks. In addition to a swim in our pools, you can also enjoy a world of fun with our activities program. We have an on-site entertainment team that organizes games, sports and activities like pool and beach volleyball, basketball, water aerobics and much more. We also organize what we like to call “Wow Moments” in this pool area, indulging our guests with details like specialty cocktails and snacks as a fun surprise during their stay. Our Finisterra Suites are situated in the historic original part of the hotel, each with jaw-dropping views from atop the property’s cliffs. These guestrooms offer a variety of upgraded amenities, including access to our exclusive VIP pool. This pool is set on a beautiful terrace, and the views from here will take your breath away. During a relaxing time in the VIP pool area, you can enjoy drink service along with a stunning panoramic view of the entire city of Cabo San Lucas: Downtown, the famous marina, the bay and the mountains on the horizon. The VIP pool is located just steps away from the Finisterra Suites, so you won’t have to go far from your room to enjoy a memorable pool experience during your vacation here in Cabo San Lucas. 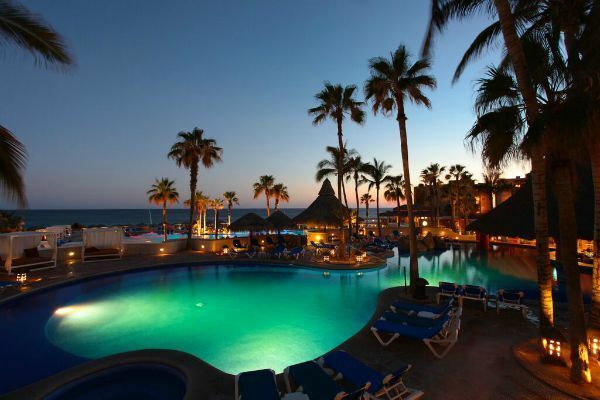 Now do you feel ready for a dream vacation on the beaches of Los Cabos? Come and see us at Sandos Finisterra! 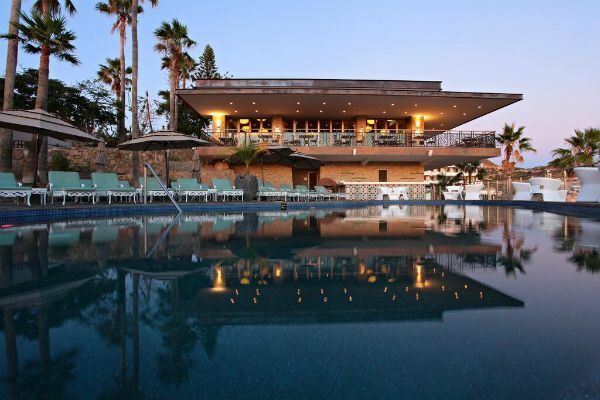 In addition to our four pools, the property also has lovely restaurants, a variety of bars, exceptional views, a dreamy spa, and an enormous golden sand beach. Thanks to our unbeatable location next to the Cabo San Lucas marina, you can easily walk to the city’s best points of interest, and you’ll be steps away from the boat tours taking you to the Land’s End Arch and Lover’s Beach. 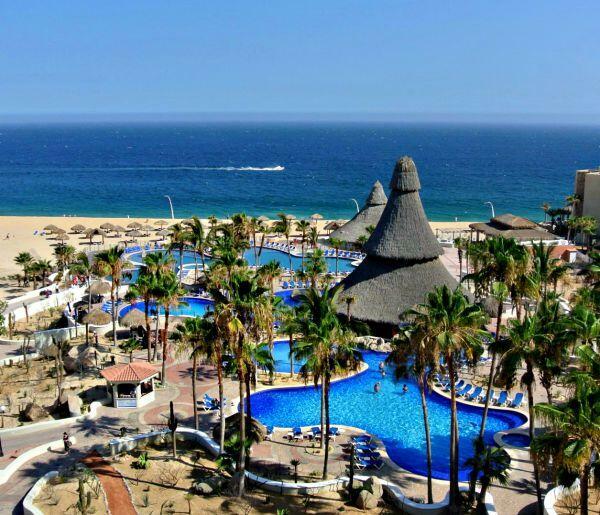 Get ready for a vacation you’ll never forget in the heart of Cabo San Lucas, right here at Sandos Finisterra Los Cabos. Book your stay at Sandos.com! Hi John! The three pools in the beach area are open for everyone (except for the center pool, which is only for adults). The VIP pool on the clifftop terrace is only available to our guests staying in the Finisterra Suites Section. 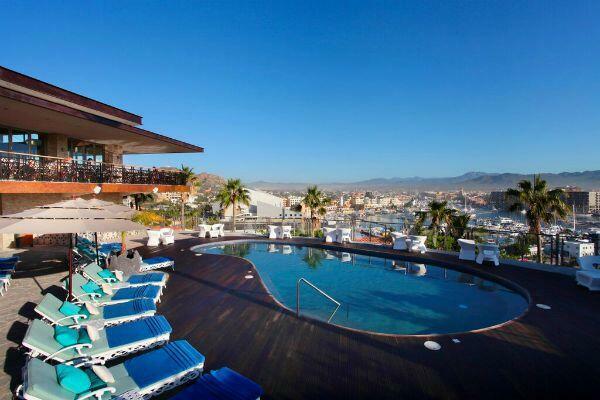 All pool areas have all inclusive drinks service; the adults only pool even has a swim-up bar!